Published on Monday, July 23, 2012. 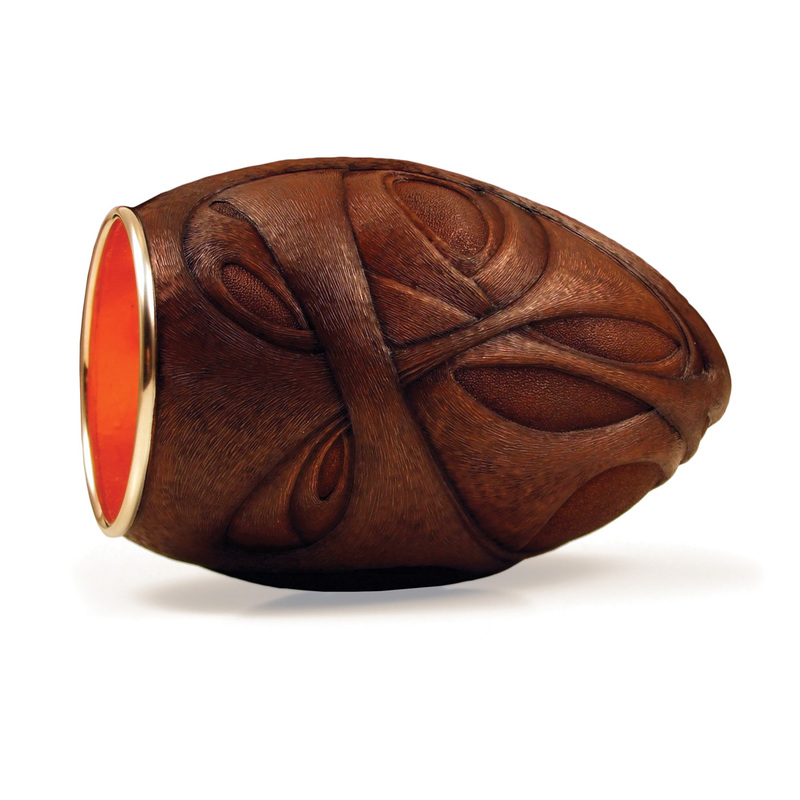 This article appears in the August/September 2012 issue of American Craft Magazine. Radiant Efflorescence #831, 2010; copper, sterling silver, 23k gold leaf; 2.2 x 1.8 ft. dia. But in 2001, as Huang was busily preparing for his senior show at Grand Valley State University in Grand Rapids, Michigan, something shifted. By applying his virtuoso metalworking skills, he had already raised a series of lovely vessels, mostly from copper. Yet something looked unfinished to his exacting eye. “I was focused on trying to get the inside lighter than the outside,” he remembers. 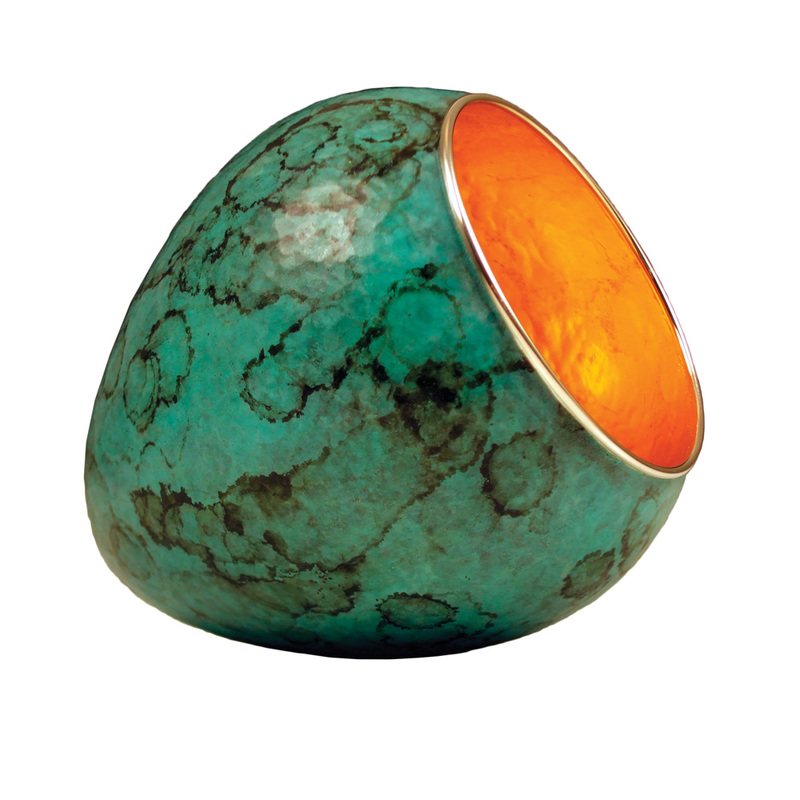 He experimented with patinas and silver leaf. 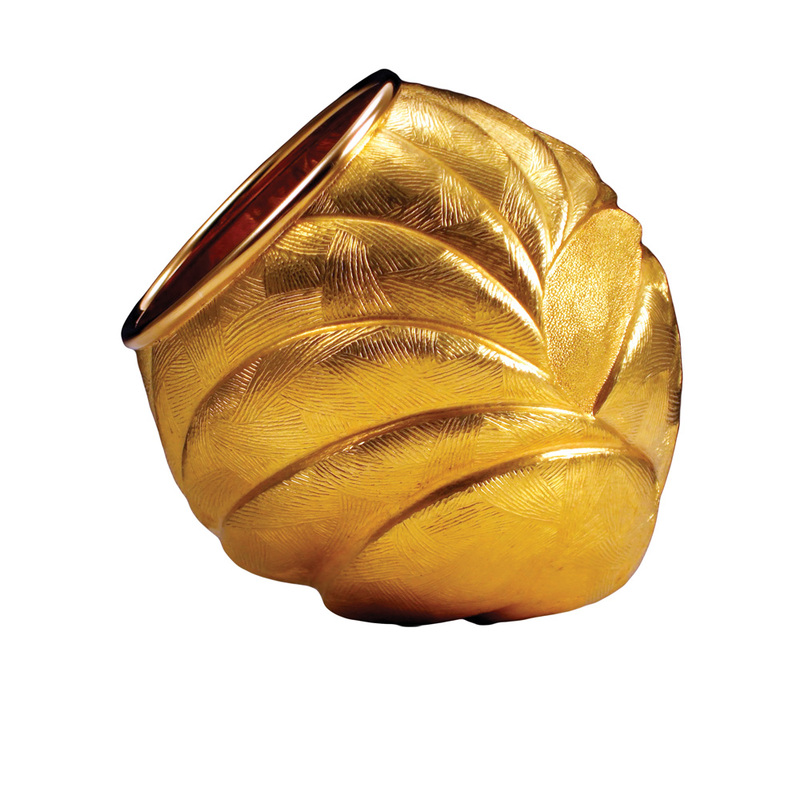 He finally coated one vessel’s innards with some expensive gold leaf that he had been saving. In addition to being a full-time artist, Huang is a disciplined conservationist with an impressive record of thrift. 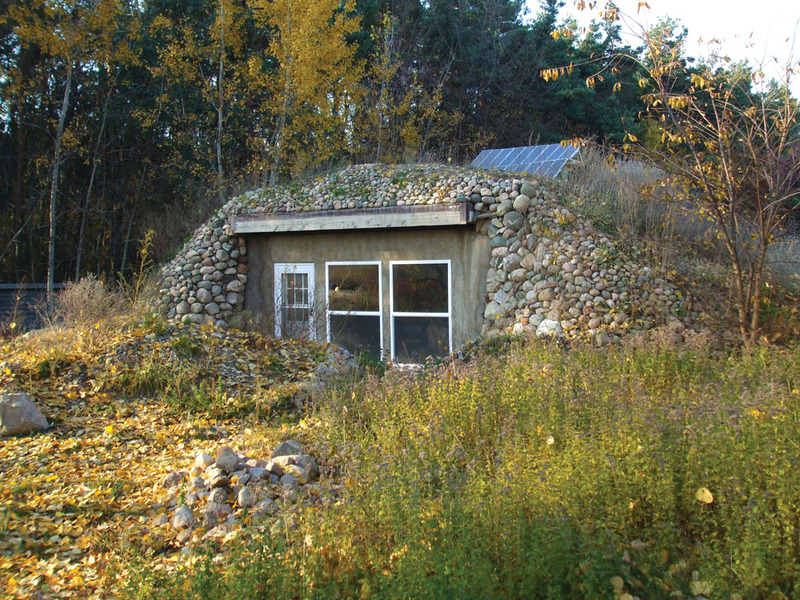 He uses a composting toilet at his home near Grand Rapids. 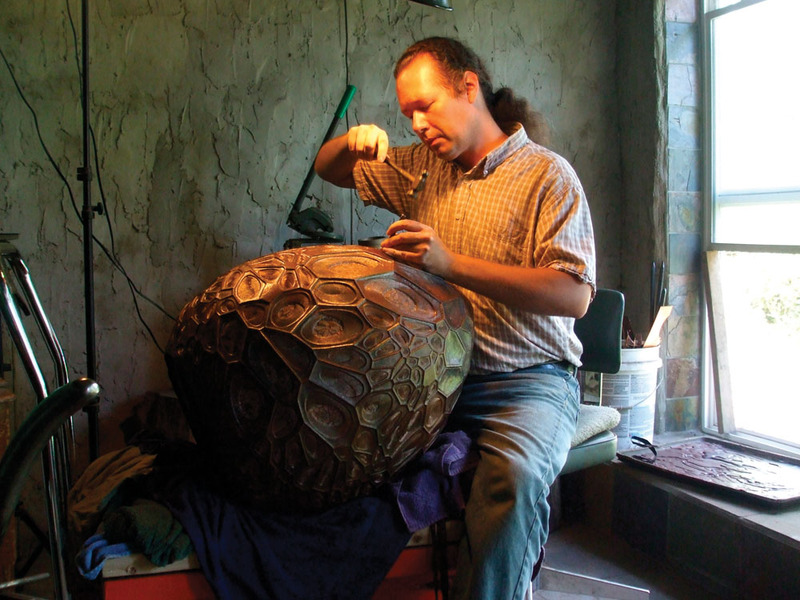 He recently built an earth-bermed metalsmithing studio – with his own hands. The foundation is made from salvaged auto tires, and the structure is powered entirely by solar panels. Perhaps most impressive, Huang did without student loans in favor of a scrimp-and-save approach to financing his college education. Sure, it took more than 10 years to complete his bachelor’s degree; on the upside, Huang emerged from Grand Valley with zero debt. Plus, he used the time wisely, experimenting with all manner of mediums along the way. During college, Huang went from drawing and jewelrymaking to crafting hundreds of hand­made journals with luxurious flourishes such as metalwork hinges and tiny compartments for hiding pencils and other unexpected gems. The turning point came with a class assignment on furniture making circa 1996. Huang was struck with the inspiration to create five distinct planters. “Terra-cotta didn’t seem quite right. They needed to be copper,” he remembers. Using techniques he had picked up as a young jeweler, he endeavored to raise a series of vessels of varying sizes, coaxing and hammering sheets of copper into three-dimensional forms. He combined the planters with simple wooden shelves and greenery, but in the end Huang’s metalwork was the highlight of the assemblage. Hooked thereafter on metalwork, Huang was soon crafting the first generation of his now-signature metal vessels. “The first ones really were multi-node, raising off of more than one point,” he says. As they evolved, they assumed more rounded silhouettes. Many resemble acorns with the caps popped off. Others are shaped more like lemons or bullets. The vessels come in two styles and, according to Holmes, buyers are usually attracted to one of the two. 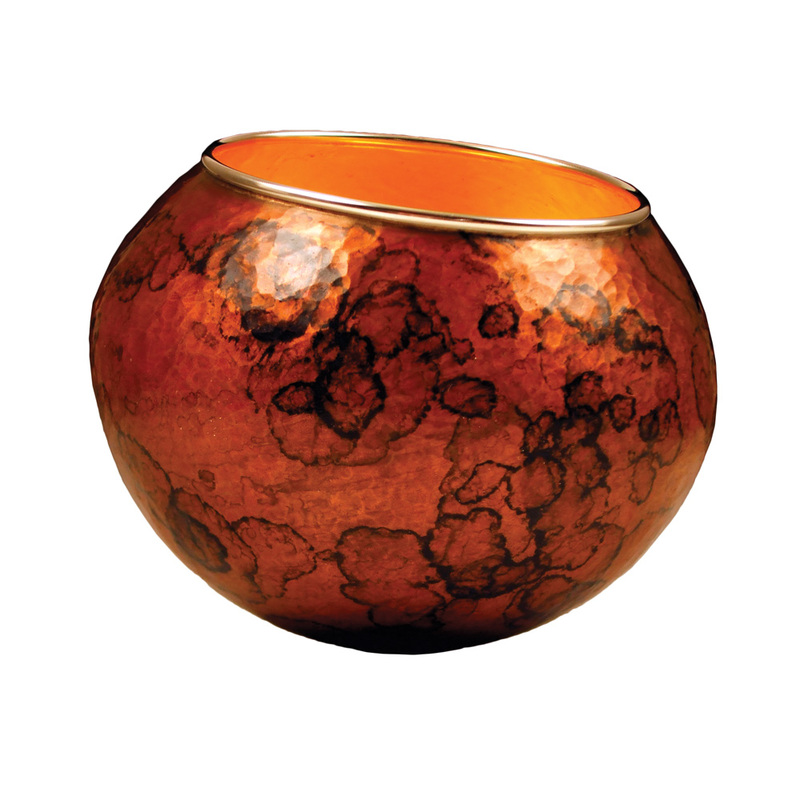 Either they like the smooth ones with the earthy patinas – “they look like stone or moss,” Holmes says – or they gravitate to those with elaborate copper or silver chasing designs. No matter the style, every vessel has the same golden interior, shining so brightly that gallery-goers are apt to assume Huang is cheating, perhaps by tucking a tiny led under the lip. Because the glow is so powerful, so molten and shimmering, it takes an extra minute to accept their natural beauty and warmth. Christy DeSmith is a Minneapolis-based freelance writer. She covers arts, culture, and travel. 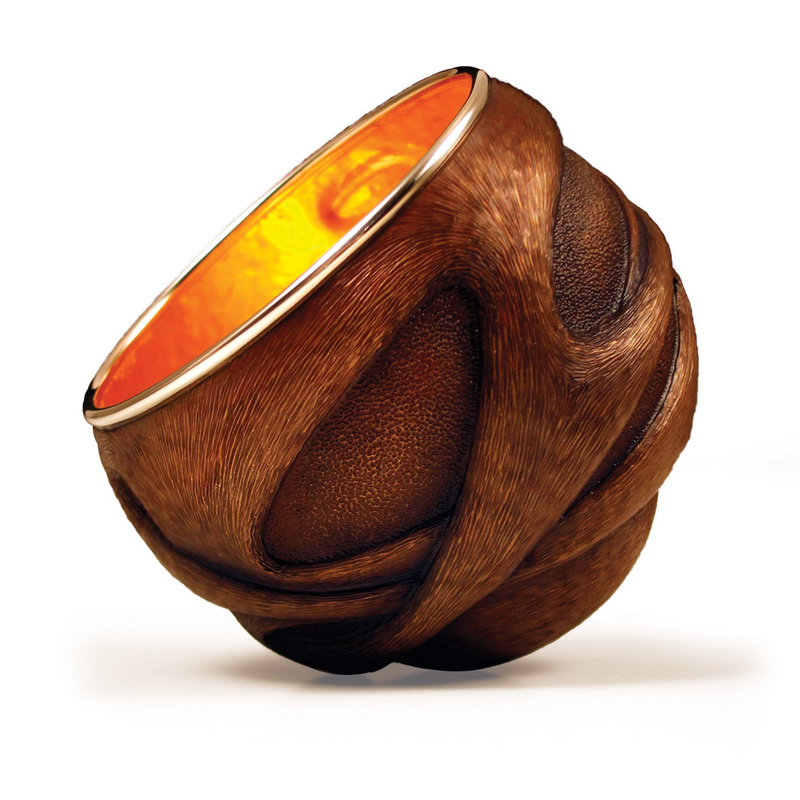 Luminosity #884, 2011; copper, sterling silver, 23k gold leaf; 4.5 x 4 in. dia. 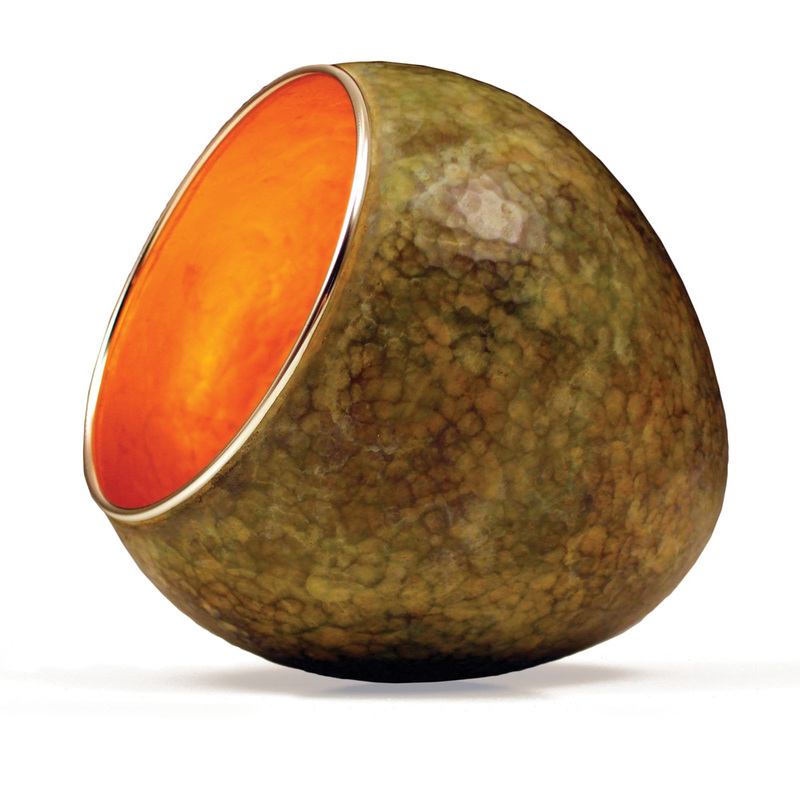 Luminosity #891, 2011; copper, sterling silver, 23k gold leaf; 3.5 x 4.5 in. dia. Luminous Relic #896, 2011; copper, sterling silver, 23k gold leaf; 3 x 3.25 in. dia. Enlightenment #769, 2009; 22k gold; 3.25 x 3 in. dia. 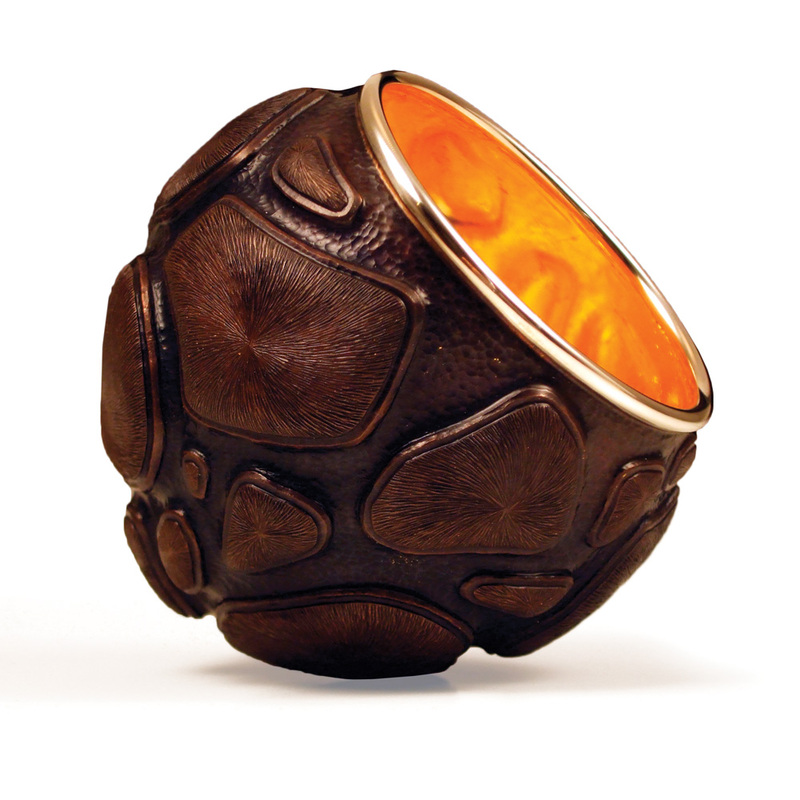 Luminous Relic #894, 2011; copper, sterling silver, 23k gold leaf; 3 x 3.25 in. dia. 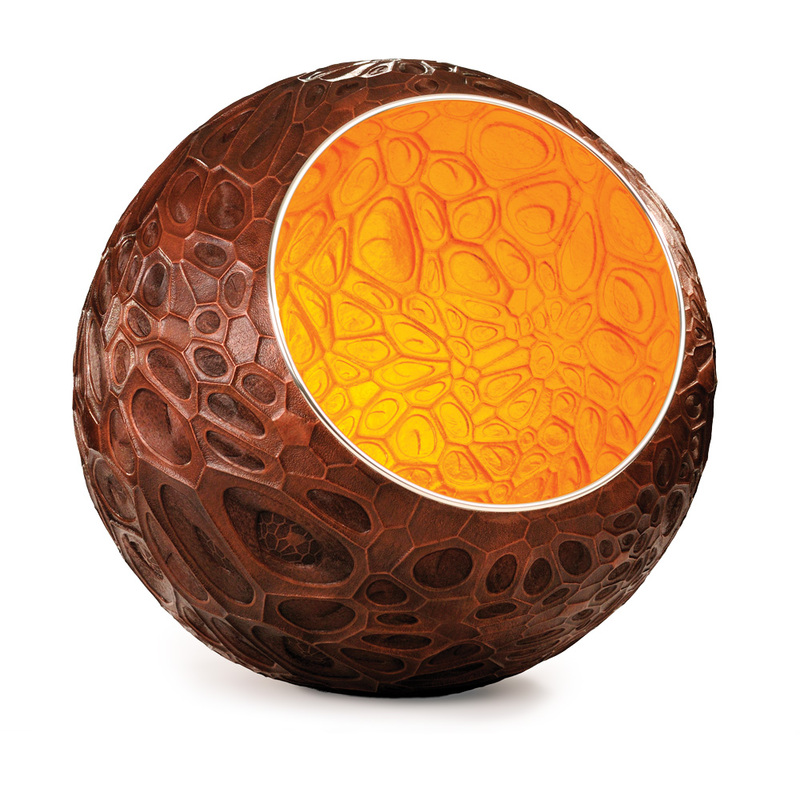 Whorled Flow #895, 2011; copper, sterling silver, 23k gold leaf; 2.75 x 3.5 in. dia. 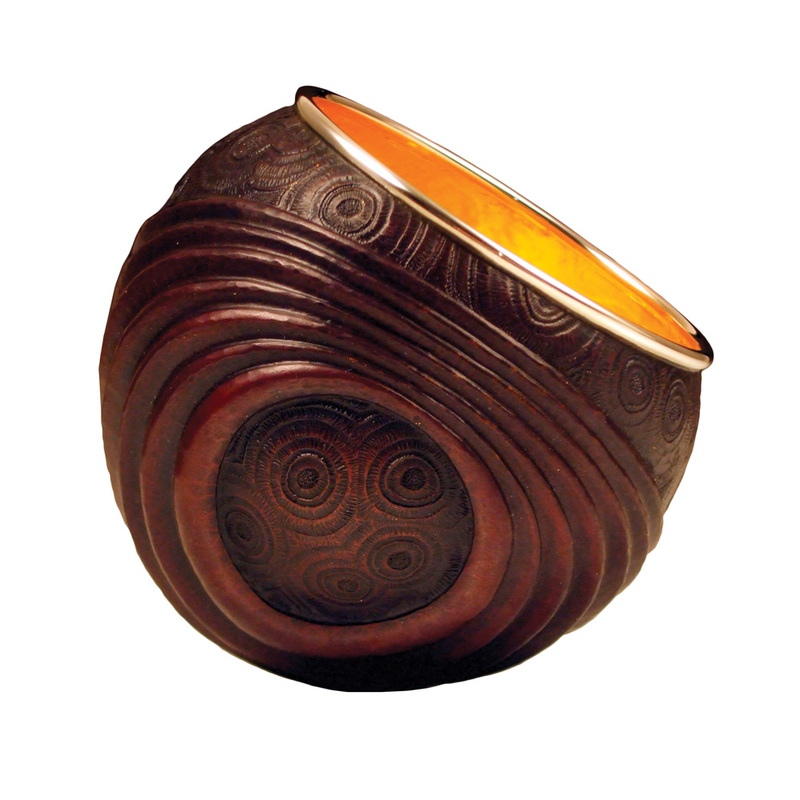 Whorled Flow #877, 2011; copper, sterling silver, 23k gold leaf; 7.25 x 4.5 in. dia. Huang’s off-the-grid, solar-powered studio, made of rammed earth, car tires, straw bales, and other more traditional building materials, both salvaged and new. It measures about 200 square feet. Huang working on Radiant Efflorescence #831 (page 29). At nearly 2 feet in diameter, it is a return to his early larger format – and his largest piece to date from a single sheet.